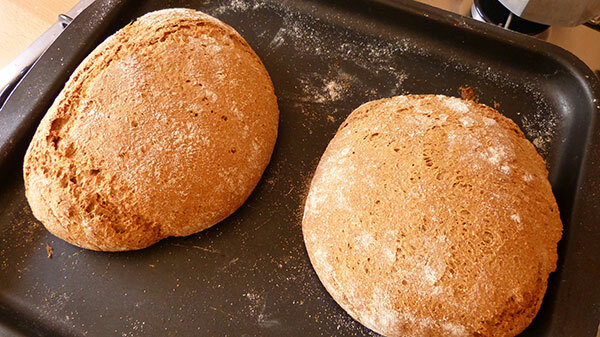 It’s been a while that I wanted to try to make my own healthy spelt bread. And I have to say it turned out perfect. Mix the yeast with a little warm water (and the merest hint of sugar to get it going, one tiny pinch should do the trick) and leave to one side for 10-15 minutes until it foams up. 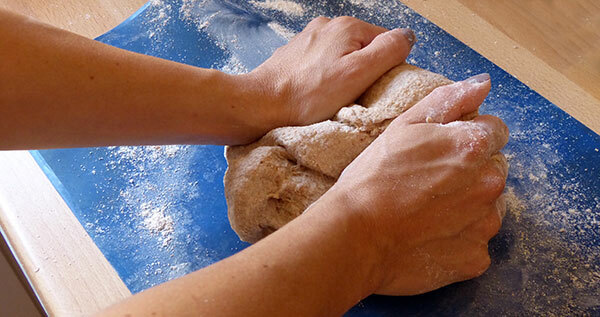 Add it to the flour and salt, together with the rest of the water and start kneading to make a soft dough. When you feel that you have a soft enough dough that doesn’t stick to the hands leave it somewhere warm to double. This will take perhaps an hour, perhaps less. My mom taught me to make a small ball with a little bit of the dough and put in a glass with water when the small ball rises, it’s ready to bake. If you place the dough directly on the baking pan after the ball rises you can put directly into the oven. If you want to make more than one bread, after you separate the dough into 2 or more pieces you have to repeat the rising process. Bake in a moderate oven, 180C, for about 35 minutes. 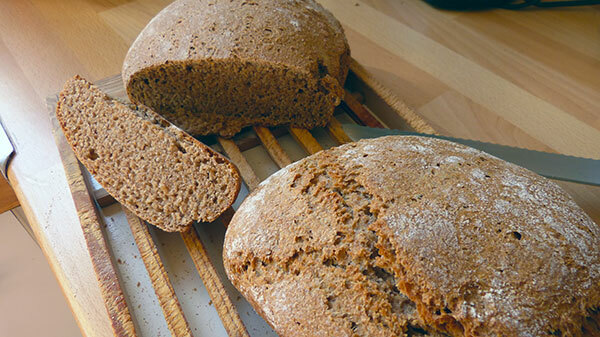 I generally give bread a couple of minutes out of the tin at the end, and then leave it to cool crosswise over the tin, which gives it a crunchy crust.